As we continually make advancements in the field of technology, new areas of skill and ability will begin to emerge to match the progress we’ve made in society. While many people are looking at all of the new technology emerging all around us, almost on a daily basis, few will realize that the new gadgetry is opening new doors to an entire array of careers that never existed before. Just as many have begun to learn what the words ‘Information Technology’ mean – even that has widened out and extended into every known area of society. What Is a Healthcare Informatics MBA? As these new systems are developed to manage the sensitive data that is often obtained in the healthcare industry, an individual who holds a Healthcare Informatics MBA will be skilled in a wide range of technical areas including computer hardware, specialized software, and communication devices in an effort to manage the vast amount of medical data, technology, and an extensive list of drugs needed to improve the quality of healthcare that patients expect to receive. Through a Healthcare Informatics MBA, an individual can focus their studies in one of three different areas. These three basic functions include Clinical, Administrative, and Financial. The program curriculum should cover the basic core studies of any Business Masters Degree program along with advanced technology courses with it. The goal is to provide students with the unique skill set needed to enhance the current healthcare services with the constant flow of new technology that is coming along every day. Choosing your area of specialization in Healthcare Informatics will open the door to a number of careers. Health Services Information Systems will allow you to focus on how to apply technology to developing and maintaining healthcare informatics systems such as the hardware and software solutions for maintaining patient records, insurance data, and billing procedures. Health Services Finance – focuses on different payment sources, reimbursement systems, financial planning, and following cost trends. Healthcare Policies focus on the political, social, and economic dynamics on public healthcare in general. Business Intelligence and Data Analysis focuses on how to design and implement a simple data system to organize, analyze and help make decisions related to the business side of the healthcare industry. With a Healthcare Informatics MBA, the doors to many professional careers will quickly open up. With recent new federal regulations in place, hospitals, doctor’s offices, and other types of healthcare providers are now required to switch from their manual paper systems for recording information to an electronic means. This will increase the demand for those with healthcare informatics knowledge and skills. These highly valued professionals will become a major key component to how health information will be collected, stored, analyzed, used and retrieved in many ways. According to the US News and World Report, graduates in any one of these specialties will most likely have a job already waiting for them after graduation. Clinical offices are searching for ways to maintain accurate and secure health data, physicians and other treatment professionals are working to improve their level of healthcare, and with the federal demand for everyone to go electronic, the need for healthcare informatics professionals will be in high demand. As reported in the US Bureau of Labor Statistics, employment in health informatics careers is expected to increase in demand over the next few years. With an expected median annual salary of $88,000, a career in this industry is a pretty sure goal of a financial future. Healthcare informatics uses hard data to make informed decisions about healthcare problems and challenges. If you earn your MBA in Health Informatics, you will be gathering data and applying it to overcome various health care problems, or possibly to identify threats or issues that might arise. If you choose to earn this MBA, you will enjoy good income potential and job growth – the Bureau of Labor Statistics anticipates that there will be a 18% increase in demand in this field by 2020. 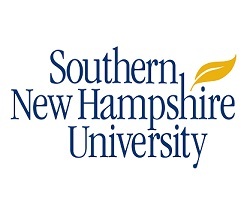 Southern New Hampshire University – Online MBA Informatics – This no GMAT program offers an International MBA in Healthcare Informatics. You will explore the complex ways in which healthcare systems and data interact with patients. As this area of healthcare continues to grow in importance, there will be many opportunities for you to advance your career in database administration, product development, systems engineering, research, project management and programming. This program also will provide you with a total global perspective on how business in healthcare is conducted around the globe. 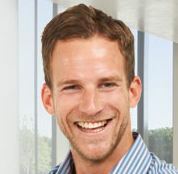 Anna Maria College: This MBA in Health Informatics will provide you with advanced skills in information science, computer science and healthcare administration. This curriculum will well prepare you for analytical and management roles in the fast growing sector of healthcare technology. This program does not require the GMAT exam, even though submitting a MAT, GRE, or GMAT score can help during the application process. You will take classes in Healthcare Administration, Healthcare Law, Information Systems and Healthcare, Economics and Finance of Healthcare, Ethical Issues in Health Informatics, Information Security, and Crisis Management. New England College: This accredited university with no GMAT requirement offers you a Master of Business Administration in Health Informatics. You will obtain the essential leadership skills that you need to meet all of the challenges in today’s healthcare field. This program is designed to meet the needs of people who wish to become leaders in healthcare informatics in their companies. You will take a total of 11 classes, each seven weeks long. Total credit hours needed is 40, and you should be able to finish this degree part time in two years. You can transfer a total of eight credits into this program. Georgia State University: This fully accredited university offers a Master of Science in Information Systems with a concentration in Health Informatics. This program does not require the GMAT, and may be completed online. This program is designed to provide you with a strong background in information technology and systems, and also in the application of communication and information technology in the world of business. You will take classes on Health Information Systems, Health Services Research, Capstone in IT Health, Database Management, and Process Innovation.